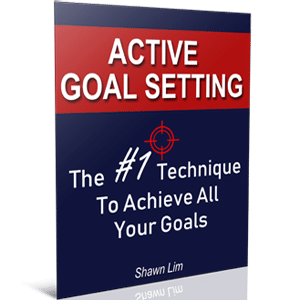 Do you know that most people who set goals did not achieve their goals? They set a new year resolution by the end of the year, and then they go and celebrate the new year, forget about what they have set. Most people barely take consistent action for more than 3 consecutive days. Are you one of them? There is a book which I came across some time ago that truly changed and helped me in achieving my goals. This book is The 4 Disciplines Of Execution: Achieving Your Wildly Important Goals.I strongly recommend this book for everyone who wanted to achieve their goals in a more effective way. To me, the main reason most people failed to achieve what they have set is because they lack a scoreboard. And this is thoroughly explained in the book. Let me just give a short brief here. Just imagine that when you take a walk in the park and you can see a group of kids playing basketball from a far. You can see their moves but it is too far away for you to hear them. Instantly, you can judge it from a far whether they are playing for fun or they are competing and keeping score. Why is that so? This is mainly because when they play for fun, they are not going to be serious. However, if they keep score, it means competition and they will play seriously. Can you imagine what would happen if people go for World Cup without keeping the score? Regardless of which team makes a goal and it does not count? It will be a complete waste of time. No one would want to watch the match. No matter what sport game it is, the most important thing that will keep the whole competition goes on is the score. No players can continue without the score. Think about it, would you want to watch the tennis match if the 2 players just play for fun and there will be no score to keep track? Just like the moment the players are warming up before the match start, players will be less intense and at ease. When the match started, it will be a total different story. Players will fight for the score and compete with their very best to win. If you played any games before, you will understand this principle better. In every game, there is something for you to beat. Some games characters will level up and there are new skills can be learned. Some games like Tetris is all about compete for higher score to win. And most games come with different difficulties and levels for you to beat, why? Simply because the score and the competition will drive people and make them want to win. The same principle applies in goal setting. The moment you lose track about your goals and all the score, you will lose focus on your goals and tend to forget to act upon them. This is why most sales companies are using the sales chart to boost the motivation of their staffs. Some companies send out monthly or even daily sales record so that it creates the healthy competition among colleagues. And obviously, you will get rewarded and praise if you do something good. We always reward those who succeed in doing something or those who excel in something, but we never reward the ones who put in effort but failed. During your schooling days, you get rewarded and your teacher will praise you for scoring a good result. You tend to compete among other students to get better grades in school. After graduated and getting into the working working world, you compete among your colleagues and other companies in the same industry. Your boss will reward you if you perform better than others. Even your boss keeps score. And why do you want to achieve your income goals? Why do you want to make a lot of money and get rich? Most people will tell you that they want the money so that they can afford to buy a bigger house, to drive a more luxury car and to travel the world. Isn’t this some form of “scoring” in life? Understand where you are. Before you want to lose weight, the first thing you need to do is to weight yourself. You have to know where do you stand only then you can know whatever you do is getting you nearer to your goal or further away from it. How can you tell if you have improved if you don’t know where you are right now, right? So if your goal is to earn more money, simply write down and take note on your current net worth or your current income level. Create a scoring board. Let me give you an example of how you can do this. If your goal is to lose 10kg weight within 3 months, all you need to do is to create a scoreboard and keeping score every week for the next 3 months. You need to weight yourself consistently for every week or even every day and write down the score. And put the scoreboard somewhere you can see often. When you know where you are and how much you have accomplished, it will create the sense of urgency or the sense of satisfaction for you depending on your progress. If you are making progress and getting slimmer, you will feel satisfy. If you did not do anything and your weight either increase or stay the same, you will feel the urgency to lose weight and you will act on it. Build the competition. You can bring the whole game to the next level by creating the competition. For instance, you can tell your boss about your sales target and share with him or her about your scoreboard. If you want to lose weight, share your scoreboard with your friends or others who also wanted to lose weight. The scoreboard will keep each other accountable and make sure there is at least some competition. Of course, you can always be creative to make the competition intense at your own setting. Nothing is going to work if you are not doing anything about your goals right now. If you don’t have a scoreboard for your all your goals, spend time to create it. It is going to be the time most well spent.